Lori is a seasoned and innovative vice president and business banking relationship manager with 34 years of financial industry experience. Her banking career has been focused on delivering holistic and comprehensive business solutions to all of her clients in Northern Michigan including, but not limited to, Gaylord, Petoskey, Boyne City and Grayling. 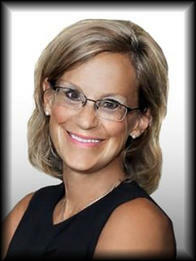 Prior to becoming a business banker, Lori held positions in private and consumer banking, retail, and marketing. She consistently leverages this broad base knowledge to help her clients meet and exceed their business and personal goals. Lori earned her bachelor’s degree from Central Michigan University. She stays active in her community serving as a board member of Diocese of Gaylord Finance Council. She is also a member of Gaylord Rotary Club and serves as a board member of Otsego County Economic Alliance and Otsego Memorial Foundation. Lori enjoys volunteering for Stand Up To Cancer Color Run and Gaylord Alpenfest.